According to a recent study conducted by researchers at the University of Washington, commonly prescribed sleeping pills including Ambien, Restoril and Desyrel can actually double the car accident risk among those just starting to use the drugs as compared to drivers who do not take such medications. The research showed that the elevated risk can last for a year or more in those who use the sleeping pills regularly. 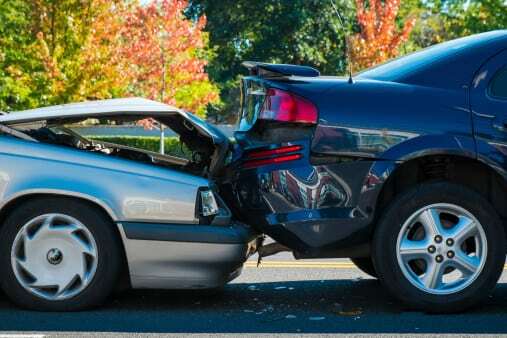 With federal statistics indicating that no less than 8.6 million Americans take prescription sleep aids, the Maine car accident lawyers at Hardy Wolf & Downing are extremely concerned, yet not surprised by the revelation that this particular brand of impaired driving is an escalating problem on the roadways. Researchers behind the University of Washington study emphasize the need for physicians to be more involved in educating their patients about the possible risks of using prescription sleeping pills. Worries about the effects of these medications have grown in recent months and years, as evidenced by the U.S. Food and Drug Administration’s 2013 recommendations that dosages of Ambien in particular be lowered for many patients. The agency also suggested that patients not drive vehicles for the entire day following use of Ambien CR, an extended-release product. According to Dr. Christopher Winter of the American Academy of Sleep Medicine, the real problem lies in the fact that too many physicians lack sufficient information on properly treating those with sleep disorders. The key, according to Dr. Winter, is for doctors to devise comprehensive treatment plans for such individuals rather than simply providing them with sedatives to take at night. Among the treatment options available to those plagued by insomnia and other problems are things such as cognitive behavioral therapies that address root causes of sleeplessness instead of just masking them. Many experts also believe that greater education of patients regarding the true risks of sleep medications needs to be provided by prescribing physicians. This latest report on the effects of sleeping pill use on motor vehicle operators was published in the American Journal of Public Health on June 11. It includes details on an analysis of records pertaining to 400,000 Washington drivers who also had a specified insurance drug benefit. Subjects who used Restoril were 27 percent more likely to have a car accident than those who did not, those who used trazodone or Desyrel saw their crash risk increase by 91 percent and those who took Ambien had more than twice the risk of an auto accident than those who did not use the medication. The research team explained that those taking these drugs had an accident risk similar to that of those driving with blood alcohol concentration readings of between 0.06 and 0.11 percent, with 0.08 being the legal limit in each of the 50 states. Because these medications can remain in the blood system for a significant time period, many people drive while they are still impaired or fatigued and suffer from diminished reflexes and reaction times. With distracted and impaired driving becoming an increasingly serious problem on Maine roads, it is important for drivers and passengers alike to understand their rights in the event of an accident. It is also vital that all who get behind the wheel take every possible precaution against driving while impaired, whether due to alcohol, prescription drugs or other distractions. Sadly, that warning goes unheeded all too often, and serious harm results. At Hardy Wolf & Downing, we have dedicated our careers to helping injury victims pursue compensation and justice, and we stand prepared to assist during your family’s time of need. To learn more about pursuing a personal injury lawsuit in Maine, contact us for a free consultation by calling 1-800-INJURED.